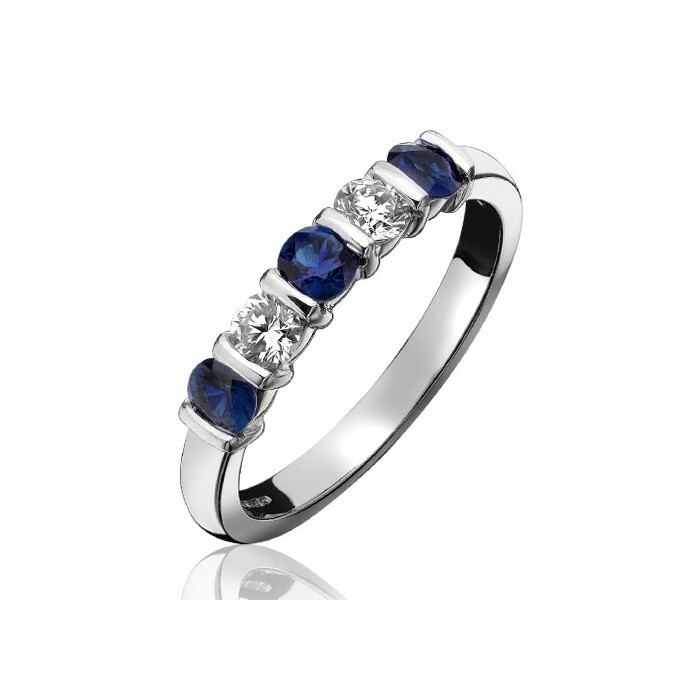 Three perfectly matched 4.5mm sapphires and two diamonds weighing well over a third of a carat each were carefully chosen by our craftsmen to make up this classic sapphire eternity ring. The bar setting is one of the safest setting and, set low on the finger, it makes an ideal accompaniment for any diamond ring. Or, it can be worn happily on its own. 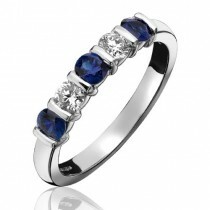 Other sizes of sapphire eternity ring are available.